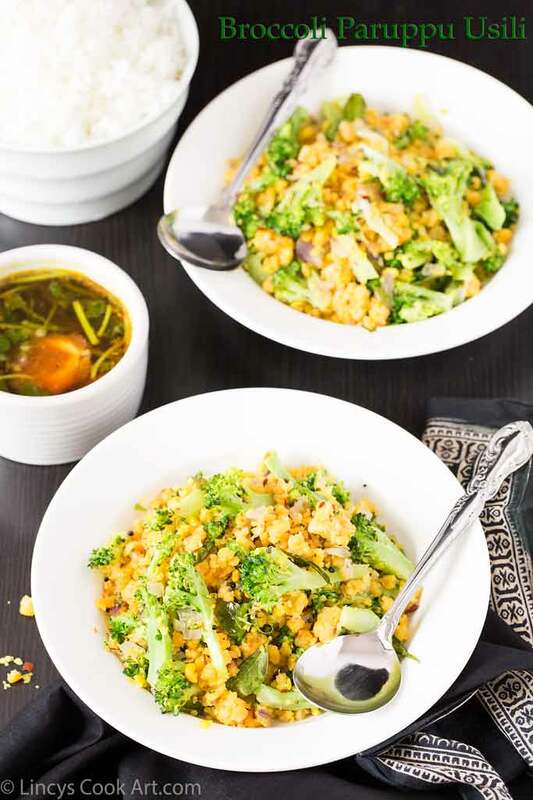 Broccoli Paruppu Usili is a tasty accompaniment with rice and rasam. 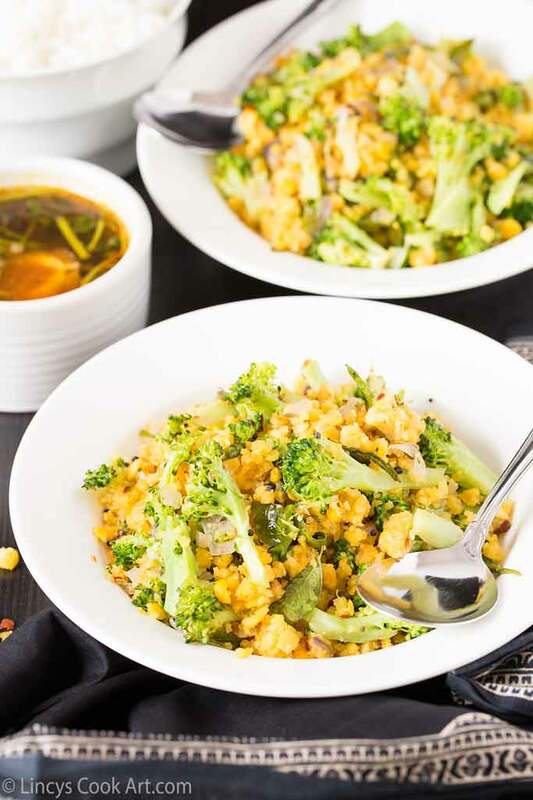 Broccoli tastes delicious with the dal and the fennel seeds flavour. Generally usili is prepared with the veggies like carrots or beans sometimes together. Here I have given a healthy twist to the traditional recipe. 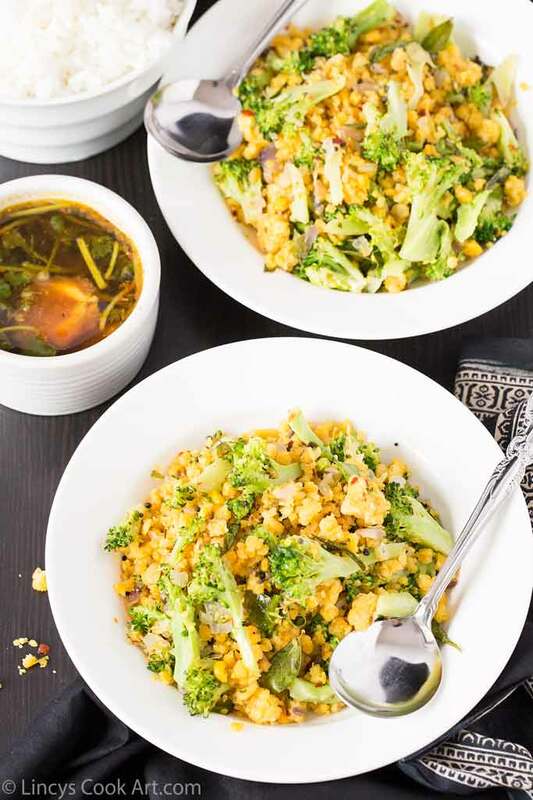 Simple yet a delicious broccoli recipe with a South Indian touch. 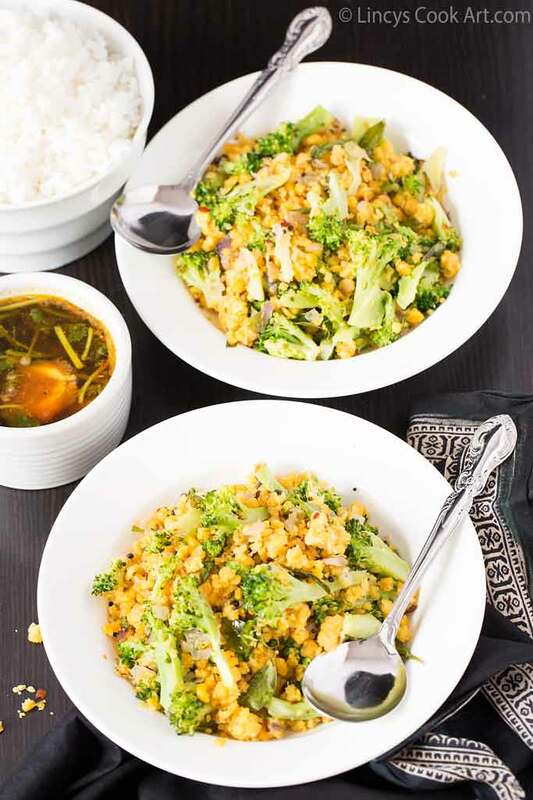 I had half of the broccoli left over after preparing the Broccoli Potato stir fry (South Indian style) recipe. The South Indian taste from the earlier recipe made me to create another innovative healthy dish. 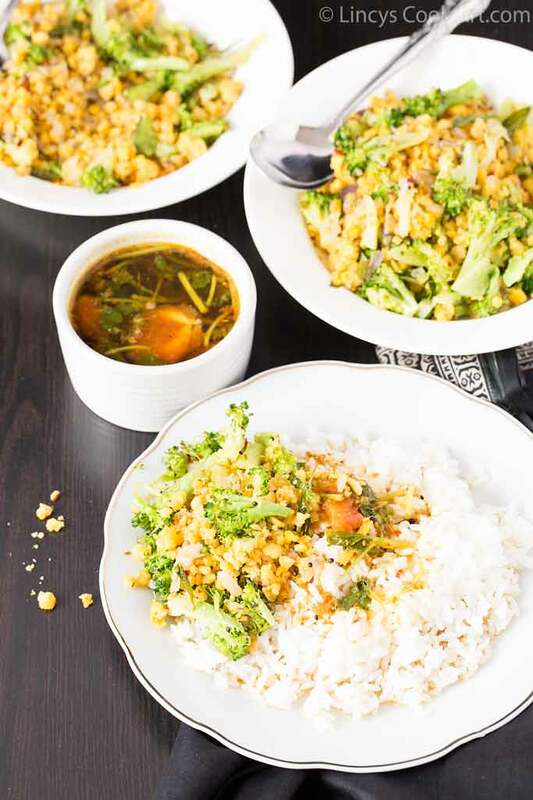 Do try my other Broccoli recipes with Indian flavours. I am sure you will like all these healthy tasty recipes. Cut the broccoli florets in 3-4 to small pieces. Soak the chana and toor dal together for 1-2 hours in water. Drain the water and add the dal inside the blender jar with dry red chillies, fennel seeds, jeera and salt; coarsely grind it. Heat water in a idli steamer and spread the dal mixture inside the plate; steam it for 5 minutes. Remove the idli plate and allow it to cool. If any lumps are formed during steaming, break and set aside. Heat oil in a pan and splutter mustard seeds; add curry leaves. Add chopped onion and cook till soft. Add the chopped broccoli with a pinch of salt and close with a lid and cook for about a minute or two till the florets almost get cooked. Open the lid and add the steamed dal mixture and add mix well and cook for a minute and switch off the gas. Note: Use blender jar to break the lumps if you find more in the dal mixture. You could use green chillies with onion and reduce the red chillies too.